Dr Rongke Liu is a full professor in the school of electronics and information engineering at Beihang University. Space information network has been attracting increasingly more interest from the industry community. Many programs have been initialized. This talk will focus on discussing the opportunity to us from the space information network, the analysis of the pertinent challenging problems as well as some preliminary solutions to these new problems. 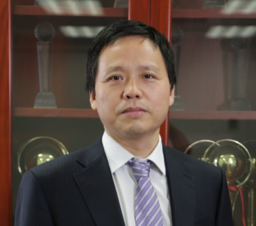 Dr Rongke Liu is a full professor in the school of electronics and information engineering at Beihang University. He received his Bachelor Degree and Ph.D degree from Beihang University in 1996 and 2002 respectively. He has won the support of new century excellent talents program from Minister of Education in China. He has attended many special programs, such as China Terrestrial Digital Broadcast Standard. He has respectively been a visiting professor in Florida Institution of Technology in USA in 2005, in the University of Tokyo in Japan in 2015 and in the University of Edinburgh in UK in 2018. His research interest covers wireless communication, space communication and circuit system. He has published more than 100 papers in international conference and journals. He has been granted 20 patents.